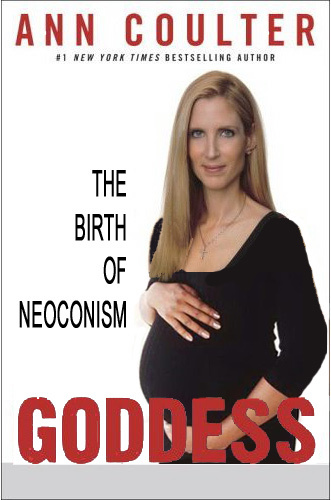 Ann Coulter was wrong, and the others too. Two recent examples, both nationally and locally, showed a new crassness in politics for conservatives. Ann Coulter’s joke on candidate John Edwards backfired at the Conservative PAC convention. You know it is bad when most of the people missed the punch line, and nothing is remembered but a nasty slur that shouldn’t exist in our vocabulary. It was just stupid, stupid, stupid. By delivering it at a conservative convention it reflected poorly on the entire conference in the most tasteless way. I felt like Coulter was playing us like liberals do when they like to espouse outrageous things just to make themselves look like censor martyrs. The F-slur is wrong and we need to live by the same standards we expect others to live by. During the same C-PAC weekend I was at a political convention where a skit featured a truly awful joke about Hillary Clinton. The stupid joke was about Hillary’s meal special of two big thighs, two small breasts and one left wing. A few days later the joke re-appeared on a conservative Oregon blog. Watching Republicans go obsessive on slandering politicians for their breast size is truly an awful new low. It makes Republicans look rabid in their bloodlust against Hillary Clinton and that they have no standards. I already had a hard time trying to bring one of my volunteers to the convention this year. She didn’t want to come because she was tired of the profane and lewd jokes featured at the skits. Such crassness does not come without consequences. Republicans and conservatives need to take the high road.